ashburnadvisors.com | Ashburn Advisors. opening doors. Founded in 2012, Ashburn Advisors combines the right financial resources, relationships and senior level expertise to accelerate our clients’ business growth. Working with clients around the country and across a variety of industries, we cut through the red tape and consistently structure transactions for success. 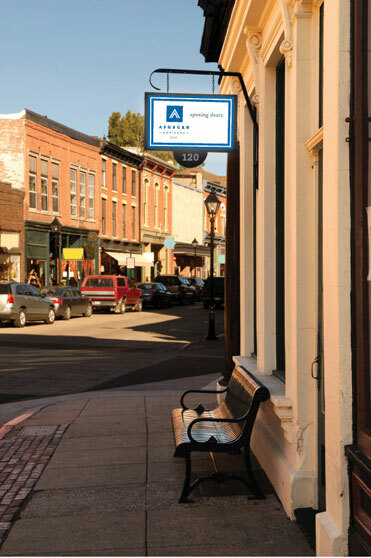 Ashburn Advisors connects start-ups, existing businesses, commercial developers, municipal governments, and non-profit institutions to the latest traditional and non-traditional financing options available in the marketplace. We are an intermediary for debt, capital and equity financing transactions, including commercial financing, real estate financing, hotel financing, business acquisition (M&A) financing, Small Business Association (SBA) financing and government grant and loan programs, among others. Ashburn Advisors is a nimble, results focused team of financing experts. To service the unique needs of our clients and the industry as a whole, we bring together three core competencies rarely offered under one roof: Ashburn Capital, Ashburn Partners, and Ashburn Government Services. We get the job done by moving transactions through the right doors, structured in the right manner. Time and again, Ashburn Advisors earns the trust of our clients as well as the financial institutions and government agencies who ultimately come together to make a deal. The firm is built on vast experience in banking, business development, research and government-based programs, in addition to the management expertise of the firm’s founder and executive director, Christopher Cawley.